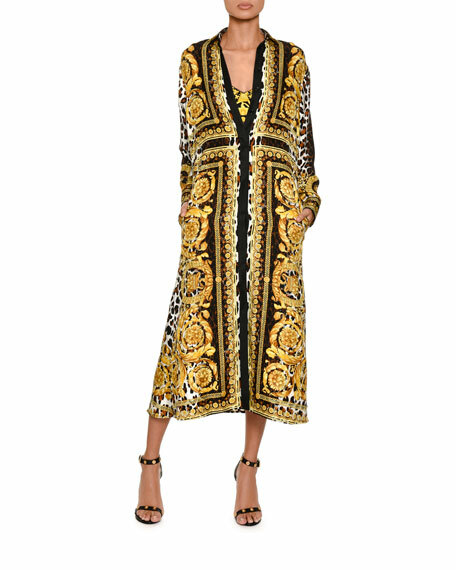 Versace dress in silk twill with baroque-print. Versace crepe cocktail dress. High collar; V neckline. Long sleeves. Faux-wrap front. Fitted waist. Tulip hem. Hidden back zip. Mini length. Viscose/spandex. Lining, acetate/silk. Made in Italy. 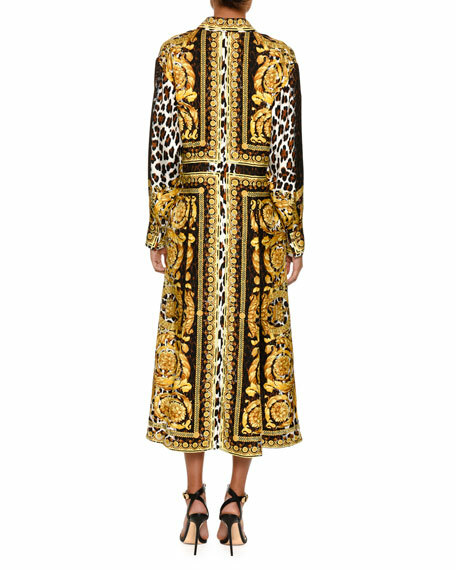 Versace cocktail dress with border-print. Asymmetric neckline. Sleeveless. Logo-print waistband. Drapes at side. Body-con fit. Mini length. Viscose, self & lining. Made in Italy.